Overnight teeth grinding can damage teeth and lead to headaches and jaw pain. 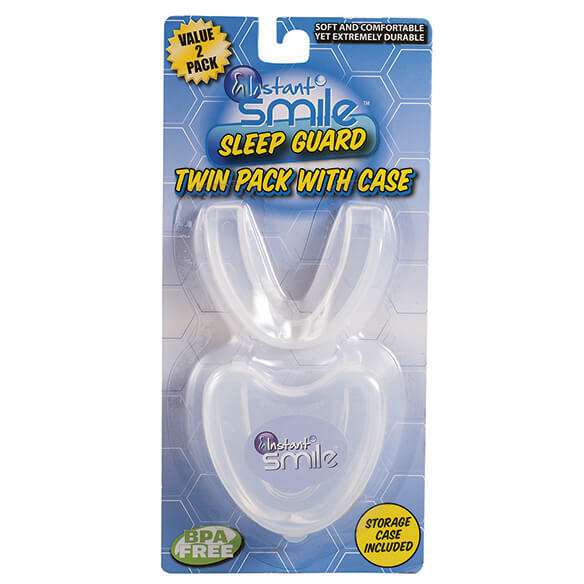 This easy-to-use sleep guard eliminates teeth grinding and clinching so you can rest easy. Made from soft and pliable, yet extremely durable, BPA-free material. Includes clear case for storage, travel or soaking. Set of 2. Includes clear case for storage, travel or soaking. 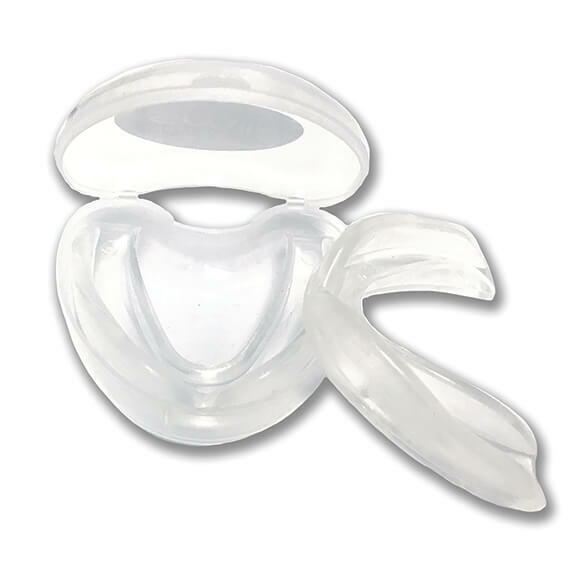 Set of 2 mouth guards. 2. Boil the cup of water in the microwave for approximately 2 minutes with the sleep guard in it. 3. With a spoon, remove the sleep guard from the hot water and let it cool for a moment. 4. 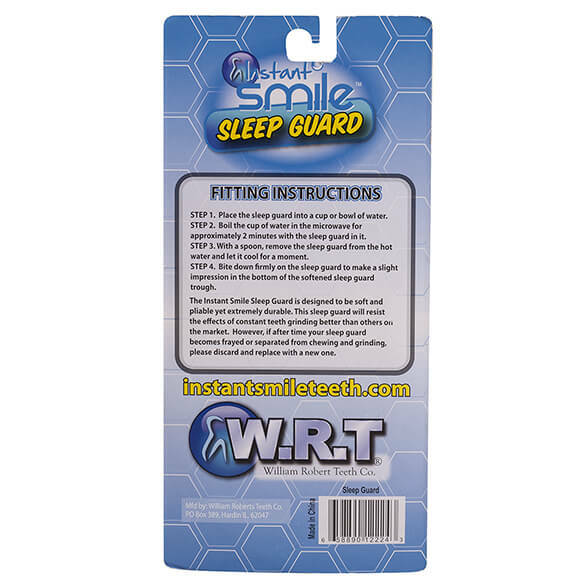 Bite down firmly on the sleep guard to make a slight impression in the bottom of the softened sleep guard trough. When I get nervous and upset, l bite my tongue. So, I am hoping this mouth guard can protect my tongue.